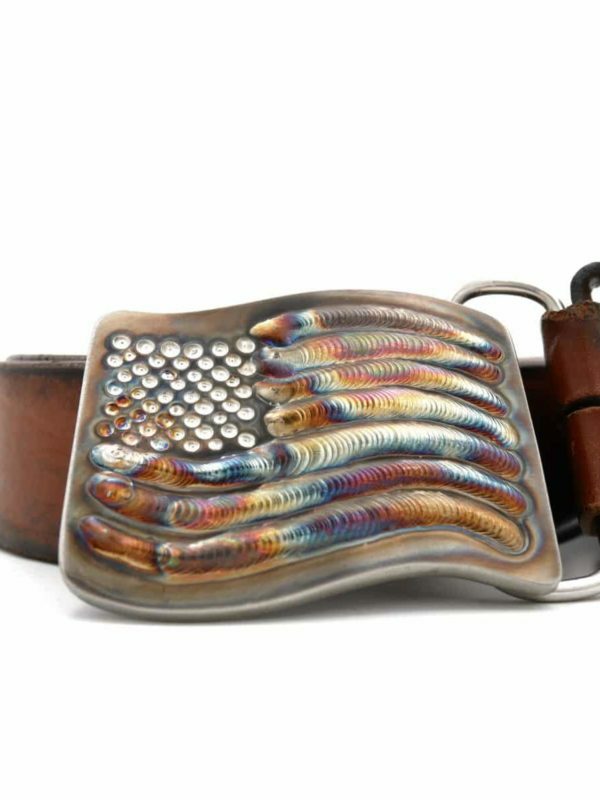 • Tig welded tattooed metal, American Flag Belt Buckle. 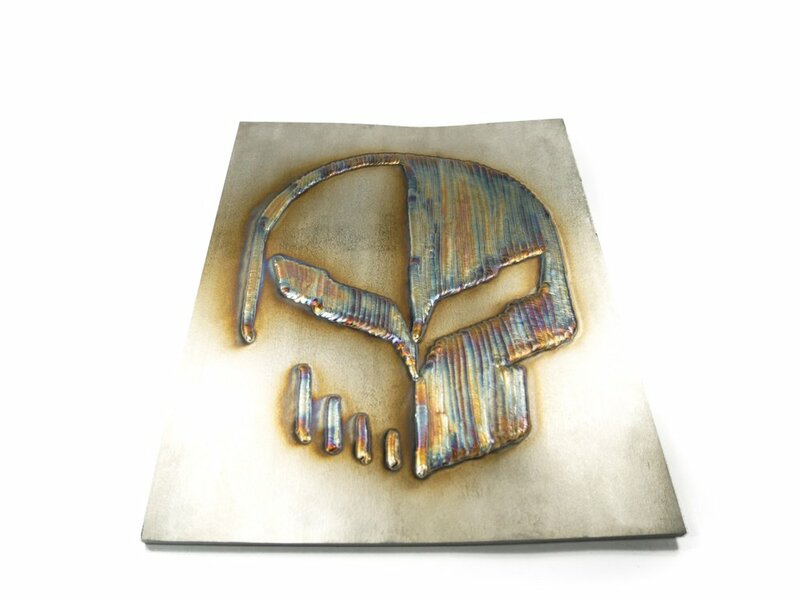 • Custom design on stainless steel design. 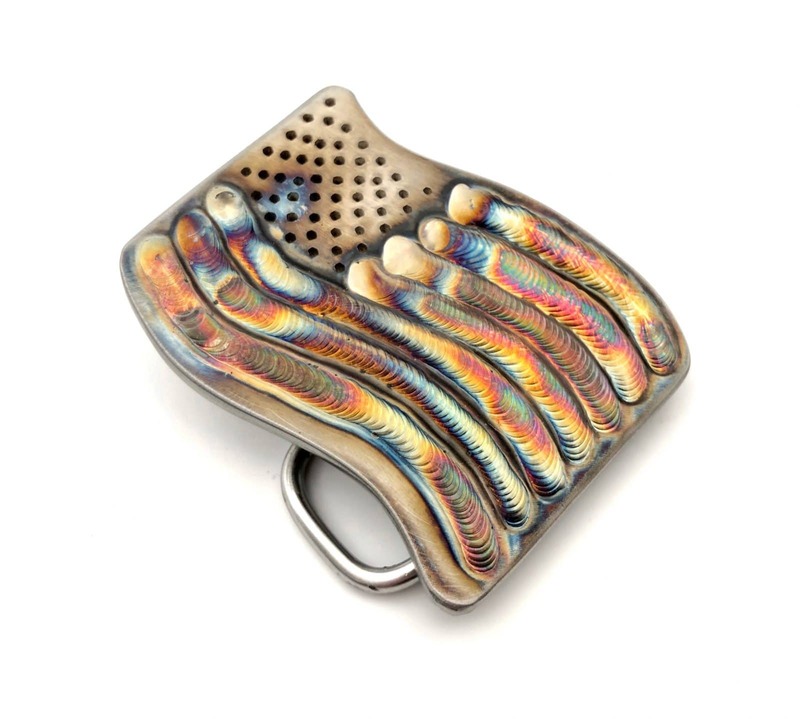 • 2 5/8″ wide x 2 1/4″ tall. Fits a belt up to 2 inches in width. • One of a kind design, no two are exactly alike. 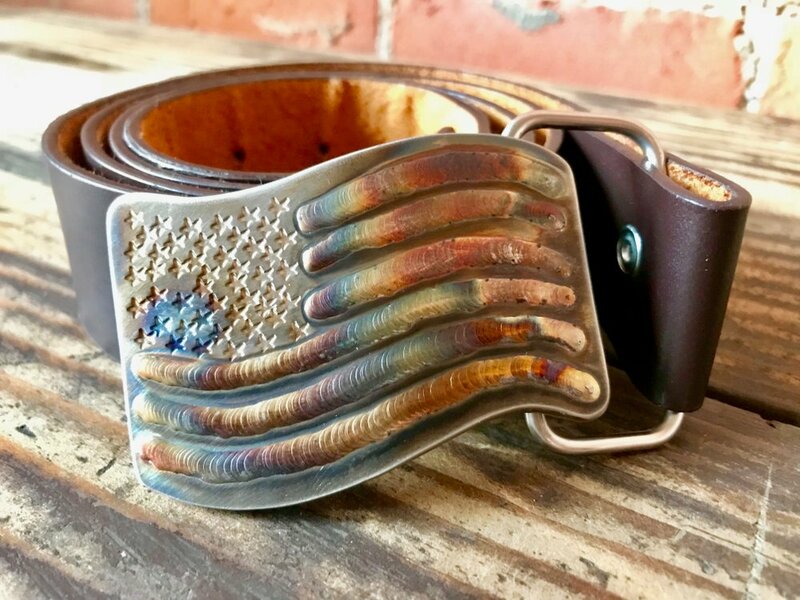 • Each buckle is designed and handcrafted by welder/artist Josh Welton.